What type of articles do you like to share on social media? Happy New Year everyone! Last week, we shared with you about our top 10 most visited articles of 2014. 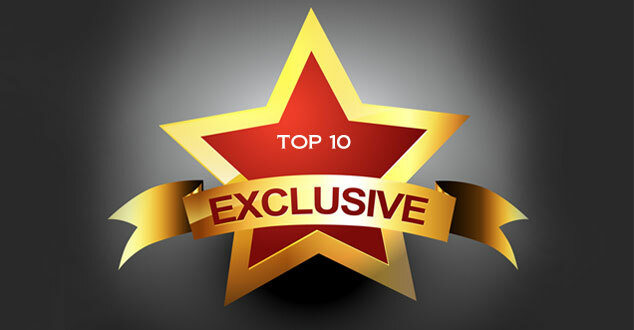 Today, we are sharing our top 10 most shared articles in 2014. This is the first year we have produced a list like this, and it has been great reviewing and analyzing it. Similar to looking back at our top 10 most visited articles, looking back at our top 10 most shared encourages a feeling of accomplishment. Another great reason to look back on the top articles of 2014 is to find out what is working for your blog. These lists help to answer what type of articles people are sharing and reading. Then, taking a look at the articles and asking yourself questions like; what about this article was so share worthy? Was it the picture, the catchy title, fantastic friends and tribe? Is there a common theme among the top 10? These are questions I’m asking myself as I look into what topics I want to cover going forward this year. All right, here we go. Here are our top 10 most shared blog articles in 2014 according to Social Crawlytics. This article was simply an answer to one of our reader’s question. Truth be told, there is nothing simple about this article. However, it prompted me to write many more articles focusing on grammar. The number one spot is shared by this easy-to-follow, “how to” article that Robin Strohmaier wrote in April 2013. Unlike the article above, this article also made it onto our top 10 most visited list at the number 2 spot. Unfortunately, Google surprised us and stopped supporting Google Authorship in August of 2014. Robin does a phenomenal job with this article. She provides useful tips that everyone wonders about, while highlighting others in the social media world. I love the way she starts the article, using storytelling to draw us in. We spend a lot of time and hard work on each of our blog articles. I know you do, too. Make sure your articles are given their best chance by publishing them on a day and time that prompt your articles to get seen. This article provides the answer to the best day and time to publish your articles. Make sure the time you invest into Facebook isn’t wasted with these 15 tips provided for you by Robin. Here you will find 3 easy ways to increase your grammar IQ. These tips are so simple you could apply them today. Plus, as a bonus we have another list of easy to make grammar mistakes. This is a great article to bookmark and check back with when you are writing a blog article. In this video blog, we provide 3 ways to quickly create cornerstone content. This article provides you with 6 different types of content that Google loves. Each type of content also has a helpful quick tip to help make sure your articles stand out. Let’s answer what repurposing your content is and how to do it in one article. Repurposing content is such a great way to continue to produce content especially when you feel stuck. In closing, first, thank you for all your support! Have you ever taken a look at your most shared blog articles via social media? I would love to know: What do you think your top 10 most shared articles will tell you? What is your favorite kind of content to share? Please let me know in the comment section below. Have a wonderful week and happy blogging everyone!